On Oct. 27, SBMI will host a lecture with Cerner Senior Vice President John Glaser, Ph.D. as the speaker. Dr. Glaser, who is also a member of the executive cabinet for Cerner Corporation, will focus his lecture on "The Shift to an Intelligent Electronic Health Record" as he discusses the evolution of the electronic health record in its transition from a transaction orientation to an intelligence orientation. Dr. Glaser was previously the chief executive officer (CEO) of the Health Services Business Unit of Siemens Healthcare, which Cerner acquired in February 2015. Prior to joining Siemens, Dr. Glaser was vice president and chief information officer at Partners HealthCare, Inc. and served as vice president of information systems at Brigham and Women’s Hospital. This event is open to the public, including UTHealth faculty, staff and students from all schools and employees in the Texas Medical Center. The lecture will be from noon to 1 p.m. in the Fayez S. Sarofim Research Building’s Beth Robertson Auditorium (1825 Pressler St, Houston, TX 77030). Guests can park in the University Center Tower (7000 Fannin St, Houston, TX 77030) and walk next door for the lecture. Please contact Judy Young (Judy.E.Young@uth.tmc.edu) if you have any questions. Have you noticed the new UTHealth billboards around town recently? The “Many Faces of UTHealth” campaign has focused on building brand awareness and it is now going to highlight some of our university’s best and brightest faculty, staff and researchers. Beginning the week of Oct. 26, the campaign will feature SBMI Dean Jiajie Zhang, Ph.D. on several Houston area billboards and UTHealth buses. If you see Dean Zhang’s image while out and about, take a picture, post to social media and spread the word! During the month of October, SBMI was proud to have two new faculty members come onboard. Please welcome Debora Simmons, Ph.D., R.N. CCNS and Tiffany Champagne Ph.D., M.B.A., R.D., L.D. to the SBMI community. Both faculty members are assistant professors on the non-tenure track with a focus on teaching. Dr. Simmons joined SBMI on Oct. 1. She has served as an adjunct faculty member with SBMI since 2012 and most recently, Simmons was the senior vice president & chief quality officer at CHI St. Luke’s Health System. Previously, she was the executive director of the National Center for Cognitive Informatics and Decision Making in Healthcare, which is housed within SBMI. 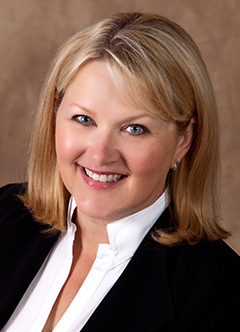 Simmons was inducted as a Fellow of the American Academy of Nursing earlier this month and she is also a member of the American Association of Critical Care Nurses, Texas Nurses Association and American Nurses Association. 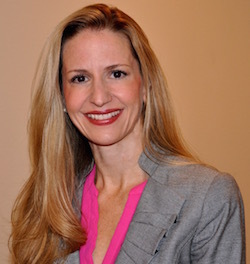 Simmons is a subject matter expert for the National Institute of Standards and Technology Health IT division and a Trustee of the Institute for Safe Medication Practices. Simmons has served on the National Healthcare Diversity Board and the ECRI Institute Patient Safety Organization (PSO) advisory. Dr. Champagne began her role at SBMI on Oct. 16 after serving as the vice president of Greater Houston Healthconnect, a community-based health information exchange (HIE) in the Texas Medical Center. During her tenure, Champagne generated millions of dollars in revenue from state and federal grants, client revenue and local philanthropic efforts. In addition to her extensive career at a HIE and as a dietitian, Champagne has worked in both academia and research for more than a decade. Since 2005, Champagne has worked with the Houston Community College System and Babson College, in Boston, as a program director and faculty member. From 2007 to 2013, Champagne was a statistician and research associate with the UTHealth Fleming Center for Healthcare Management within the School of Public Health. While there, she helped to develop course curriculum, teach classes and performed statistical analyses on cardiovascular disease outcomes. Please join us in congratulating three SBMI faculty members who were recently appointed to two endowed professorships and one distinguished chair. Associate Dean for Research and Professor Elmer Bernstam, M.D., M.S.E. earned the Reynolds and Reynolds Professorship in Clinical Informatics. Professor Dean Sittig, Ph.D. was appointed the Christopher Sarofim Family Professorship in Biomedical Informatics and Bioengineering. Dean Jiajie Zhang, Ph.D. was named the Glassell Family Foundation Distinguished Chair in Informatics Excellence. The application deadline for the summer 2016 program is Nov. 10. If SBMI students are interested in applying, they can review the online application and contact Sam Neher from UTHealth’s School of Public Health for more details. 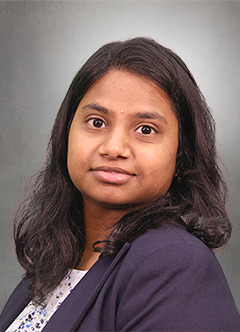 Congratulations are in order as Assistant Professor Sahiti Myneni, Ph.D., was recently awarded a NIH grant totaling $378,720. The project, which is titled “Content-Based Social Network Analysis Methods for Data-Driven Health Promotion”, will run from Sept. 18 of this year to Aug. 31, 2017. As part of the project, Dr. Myneni will develop a framework for the incorporation of message content into network-based models of social influence. That framework will be used to analyze communication among members managing chronic conditions on an online community where patients share their daily experiences of disease management. Ultimately, the project will result in proposals for the development of digital interventions and technology features that harness social ties to support individuals engaging in health behavior change and chronic disease management. The American Medical Informatics Association (AMIA) 2015 Annual Symposium begins Nov. 14 in San Francisco and SBMI has faculty, staff and students attending and playing an active role in the symposium. We want to acknowledge the following members of the SBMI community that will be participating in AMIA 2015 sessions, panels and presentations. SBMI's Associate Dean for Academic Affairs & Assistant Professor Susan Fenton, Ph.D. was recently interviewed by KTRH and The Rheumatologist regarding the new ICD-10 codes. Professor Lex Frieden was recently interviewed on KPRC Radio's Fifty+ show. SBMI Professor Dean Sittig, Ph.D. was recently quoted in a HealthDataManagement.com article where he notes how a national health IT safety center could reduce HIT-related adverse events & medical errors. Sittig was also cited in an article in EHR Intelligence on how caregivers can use electronic health records to enhance the diagnosis of disease. How do we fix the EHR?